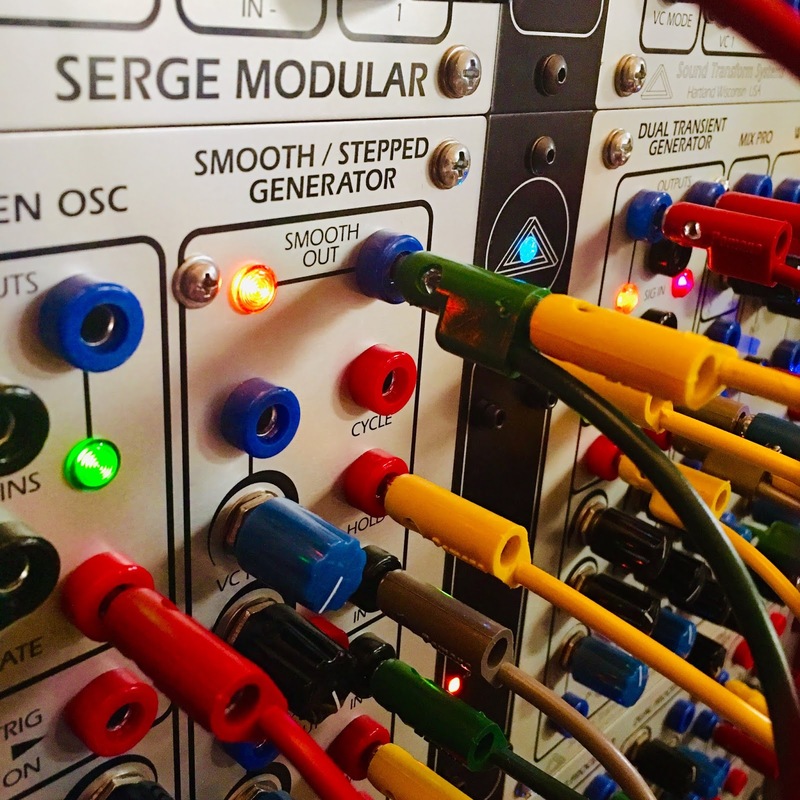 I've started up a new blog focused on the Serge modular music system. A labor of love, really, for information on the Serge has lately been scattered hither and yon. Some of the best info was in the SMOG and Quadslope forums, which evaporated years ago (there's still an active Buchla, EMS & Serge subforum at Muffwiggler). Happily, the Serge itself didn't go anywhere and has even cropped up in new and unforeseen places, including a vibrant DIY community. Serge Tcherepnine's circuits are pretty legendary, and while some designs have changed over the last 40 years, much of the core stuff that makes the Serge system so great has remain unchanged — so much so that even most of the oldest catalog descriptions are still relevant. And that's where my labor of love began: collecting those various catalog details into a single place, which ended up being a monstrous spreadsheet. I finally decided to migrate that info to a blog format, and then that awoke my hunger to have fresher, deeper information on the Serge. And here we are. 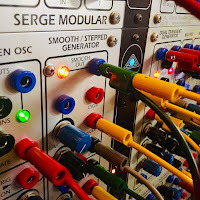 I've only begun writing up detailed walkthroughs of the Serge, with pretty oscilloscope images, patch tips with diagrams, and explanatory video demos. I also recently reconnected with cebec from those halcyon SMOG and Quadslope days, and he has graciously offered up his archive of patch suggestions & explanations from those groups for me to cull for future blogfodder.